Bully Dog Diesel is one of the biggest names in diesel performance and they have been around for about 10 years as of 2007. One of their claims to fame is their line downloaders that can be switched between Ford, Dodge, and Chevy diesel trucks. This is a great feature because with any other performance programmer if you buy a different make of truck, you have to buy a whole new programmer for that truck. The Bully Dog Triple Dog and Bully Dog PMT (performance management tool) on the other hand can be changed from one truck to another saving quite a bit of money if the individual buys a different truck or upgrades. Although good luck trying to get a die hard Ford person to switch to anything else and vice versa. There are some that don’t care though. The original one size fits all downloader which has been extremely popular. Downloader’s in general just plug into the diagnostic port under the dash and upload a new program onto the truck for either diesel fuel economy, economy while towing, or performance. The Triple Dog plugs into the diagnostic port under the dash like the others do, but has a few differences. One, you can go to Bully Dogs website after purchasing the Triple Dog and download an extreme program for free. Two, it can be linked up with Bully Dog’s Outlook monitor which is a full digital gauge set up that also allows you to switch between power levels while you are driving. This is something that no other downloader can do. This also plugs into the OBDII diagnostic port under the dash. The PMT is exactly what its name says; it’s a performance management tool. 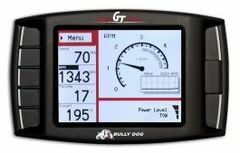 The Bully Dog PMT offers push button or touch screen navigation; both navigation styles come with each unit and are active all the time. 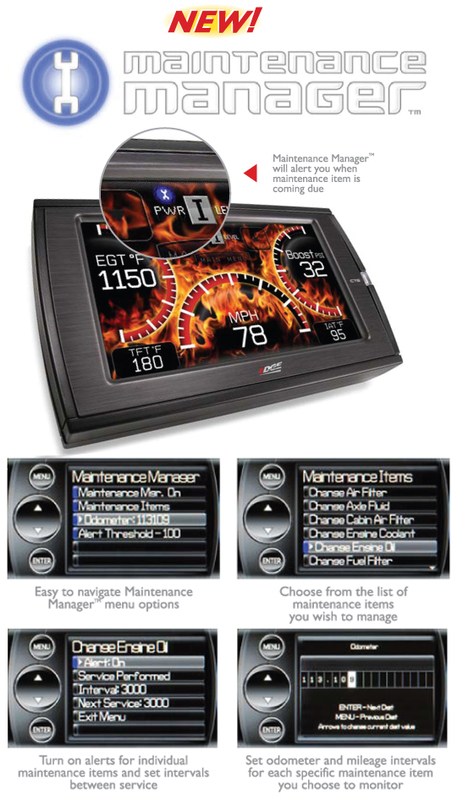 It also has a color screen with the best resolution and highest contrast of any screen in the diesel industry. It gives you the capability to display four different engine parameters at a time and gives your twenty engine parameters to choose from. Bully Dog is the only company that has a monitor that will work on all three of the major diesel trucks. I personally happen to be one that is happy driving any of the major diesel trucks so this is a feature that appeals to me. For others it might not matter as much. In a day where phrases like Ultra-Low Sulfur Diesel, Exhaust Gas Recirculation, Urea Injection and most of all Diesel Particulate Filter are being used in an industry that is more accustomed to phrases like “Boost Fooler” and “Mufflerectomy”, many people are wondering if this is the end of the diesel performance era. Many people are even asking, “Is Diesel Performance dead?” Now there are a couple of different ways to approach this question and with a topic so close to many people’s hearts it’s oftentimes very difficult to know which way is the best to approach the subject.For many people that have voiced their opinions about the stringent standards that the EPA is putting on Car Manufacturers this is the end of an era; much like the end of the muscle car era. There are many people saying that January 2007 was much like January 1972, marking the end of what is being a called the “Diesel Performance Era” just like 1972 is looked on as the official end of the Muscle Car Era. If you take a step back and compare the two “Era’s” there are a couple of similarities, those being mainly the race to see which company can make more frame wrenching horsepower and torque after decades of research and development and then also being shut down by the EPA and new emissions laws. So where do we go from here? Is that the end of diesel? Will the even tighter restrictions that will be enforced in 2010 be so smothering that automakers decide to abandone diesel lines altogether? Well as of right now, all signs actually point to a bright future in the diesel arena itself. Several automakers are talking about adding diesel engines to their lineup including Honda who has a diesel Accord set to enter the market in 2009 and there are rumors of Toyota adding a diesel option to their Tundra, but guys can only hope right? If we look again at the parallels between the two eras we can see a bright glimpse of hope for the diesel performance aftermarket in a couple of different ways. Since the end of the muscle car era in 1972, aftermarket performance has definitely changed. Even more so in the past decade with just the upload of a program from a diesel performance programmer you can be 100 horsepower or more above stock in just a matter of minutes. That is definitely a far cry from the performance modifications of old. It’s my guess, and take it for what you will, but I see the diesels of the last decade or so becoming much like the muscle cars of the 60’s and 70’s, sort of the last of the fun vehicles, less restriction and more possibilities for big power. Although new diesels will continue to increase more and more in power, I think that the new restrictions are going to make it even more difficult for manufacturers to create programmers, chips, intakes etc. that will work without setting off check engine lights and throwing codes etc. Nathan Young is a diesel performance enthusiast. 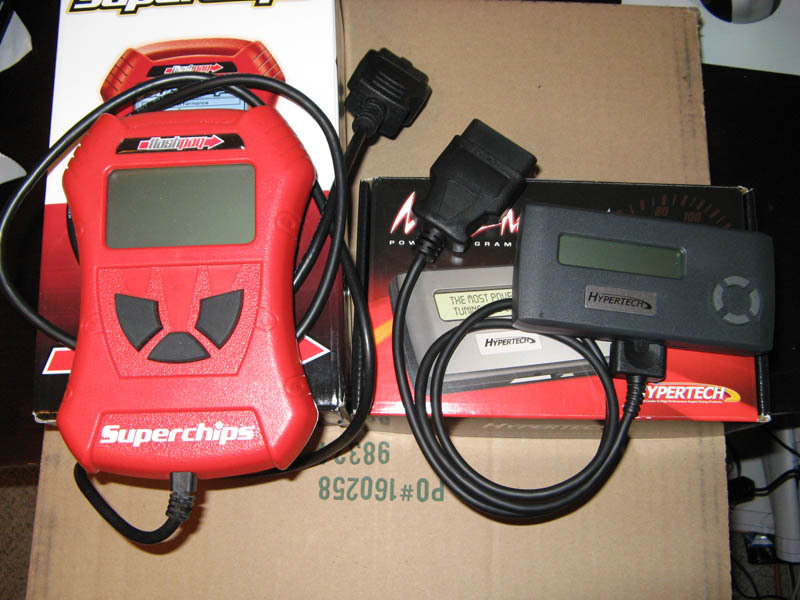 His main areas of interest in the industry are VW TDI performance and diesel performance chips. Visit Parley’s Diesel Performance for all your diesel performance part upgrades. One of the new lines that we are carrying at Parley’s Diesel Performance is the PPE Diesel Product line including the very popular PPE Xcelerator. Although the PPE Xcelerator is most popular in the Duramax performance crowd Pacific Performance Engineering offers a excellent selection of Cummins Performance and Powerstroke Performance that offer incredible performance gains as high as 300hp (at the flywheel) as well as allow you to check codes, get rid of defueling, and remove the speed delimter. If you are looking for some serious power and don’t mind paying a little more than a typical diesel tuner, it is worth every penny. The Diesel Programmers from PPE Diesel offer ten different power settings similar to the Smarty Tuner for the Cummins.